Why should you join the University of Bedfordshire’s BA (Hons) in Accounting ? Affordable programme with convenient payment options! Accredited and internationally recognized Bachelor’s degree! 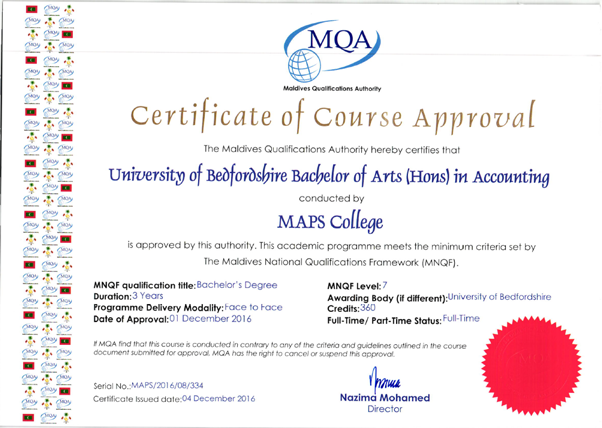 The BA (Hons) in Accounting course franchised by the University of Bedfordshire provide a direct route to a professional qualification in accountancy in that it attracts the professional body exemptions from both the Association of Chartered Certified Accountants (ACCA) and Association of International Accountants (AIA). Throughout the three years and particularly through projects in the final year, students will learn to address different business problems with professional attitude and with skills much sought after by employers. 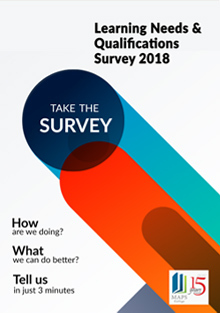 This qualification is a gateway to a range of professional careers in accounting, finance, and banking. Level 7 Bachelors Degree (view MQA approval). Other Accounting Qualifications may also be acceptable on a case-by-case basis. Assessments will be through a mix of examinations, assignments, presentations and case-studies, all prepared and marked by University of Bedfordshire. Students who complete the University of Bedfordshire’s BA (Hons) in Accounting may use it as a standalone professional qualification or progress on to a Master’s degree programme.